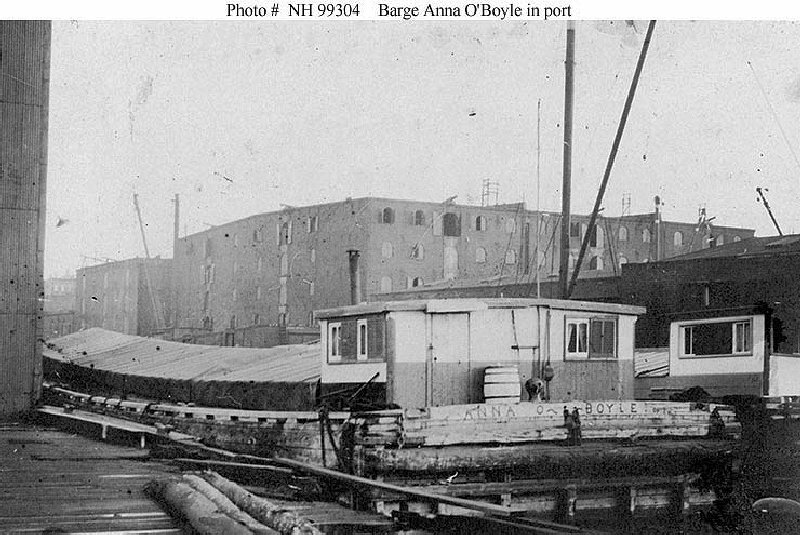 Barge: Built in 1903 at South Rondout, NY; Acquired by the Navy in 1917; Returned to her owner 31 July 1919. Fate unknown. Specifications: Displacement 351 t.; Length unknown; Beam unknown; Draft unknown; Speed non-self propelled; Complement unknown; Armament none. 115k In port, possibly in the New York City area, where she was inspected by the Third Naval District, circa 1917. There is no DANFS history currently available for Anna O'Boyle (ID 1736).